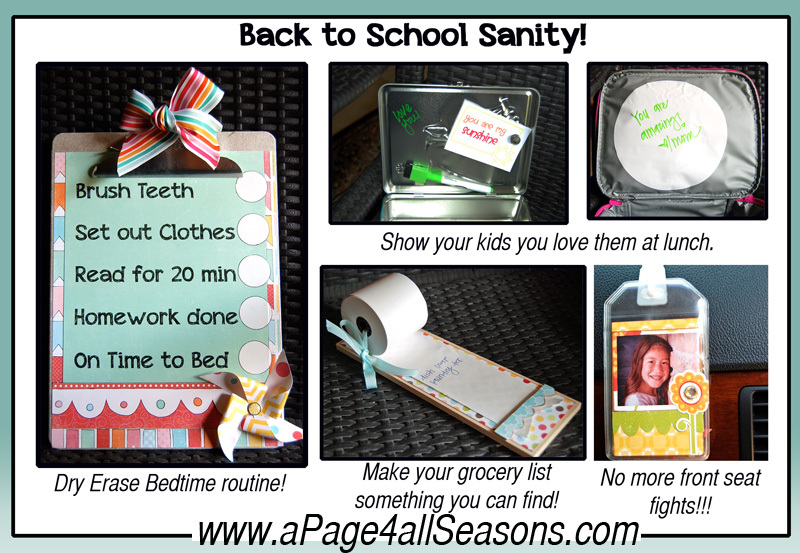 Shyloh Belnap: Good Things Utah Back to School Sanity!!! Good Things Utah Back to School Sanity!!! This is a simple and quick solution to all of your “front seat” car wars! Make a luggage tag with a cute picture on it of each of your kids, hang it with a temporary hook in your passenger seat. Once your child has their turn, they will move their card to the back of the line! 1. 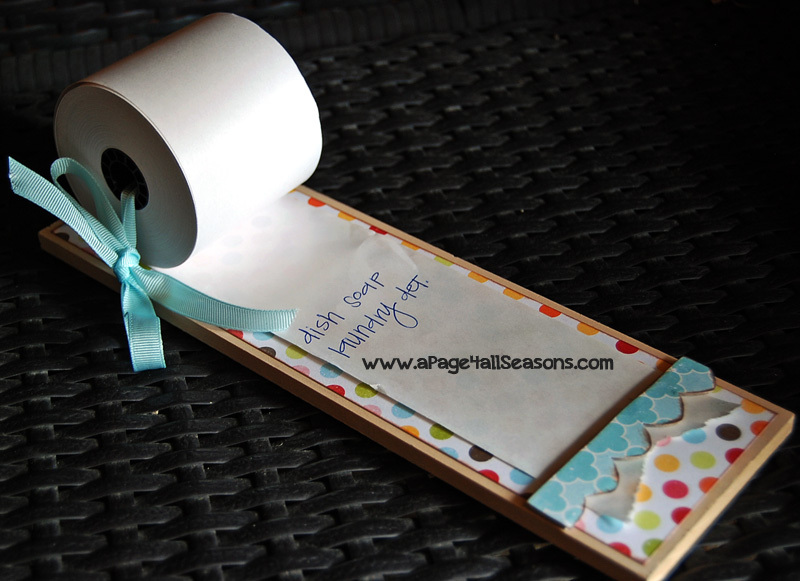 Decorate each luggage tag however you would like! I like to mount my pictures and put them inside the luggage tag and then add my stickers and brads to the outside of the luggage tags for some fun dimension! This clipboard is awesome to use. Your child can mark off the items once they are completed. 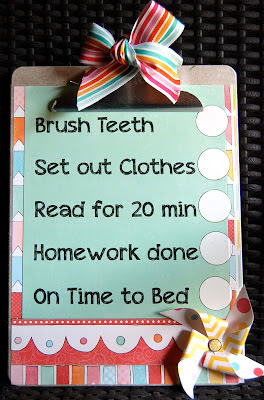 If all items are completed, you can attach $1 to the clipboard for the day! Use spray adhesive to place all papers on the clipboard as you see it on the picture. I cut a scallop from a decorative paper to use on the bottom but you can design this however you would like. For added protection, you can mod podge the clipboard at this point. 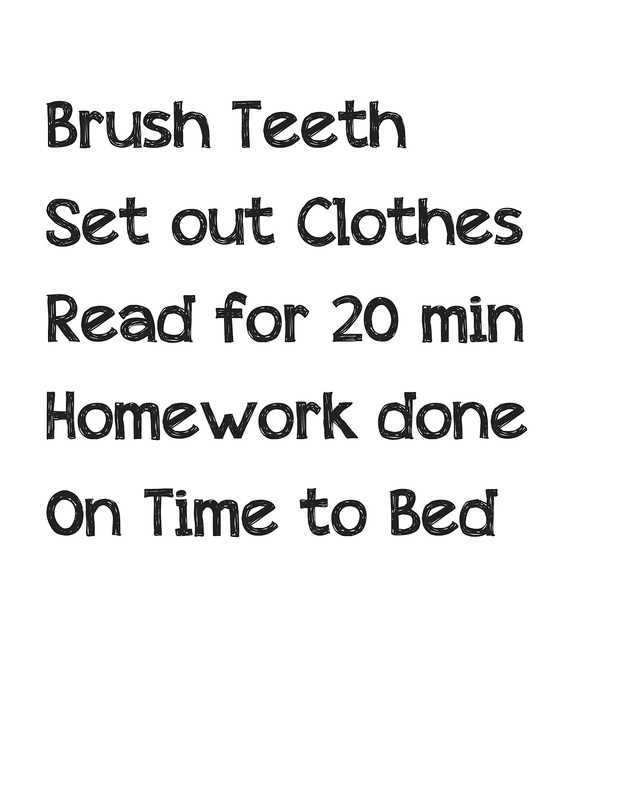 I used a 1 1/4” circle punch to punch the Dry Erase Vinyl and added it to the clipboard. Hint: Cut the vinyl with the paper back still on, it is hard to punch the vinyl without it! For accent, I outlined much of the paper with a black micro tip pen. Attach ribbon for decoration. You can use the hole on the back of the clipboard to hang! Lost Grocery lists are the thing of the past! 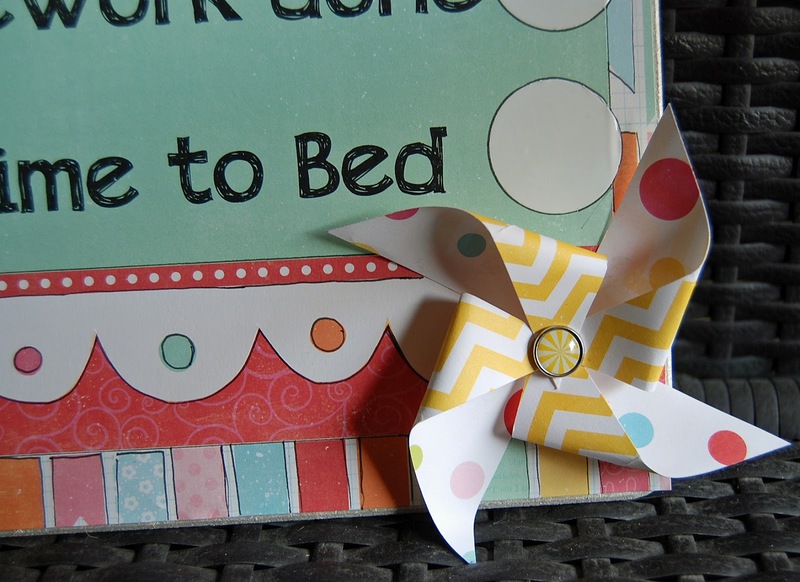 I love this easy little craft. It’s super cute and EASY to make! 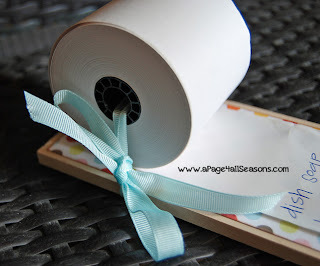 Tie ribbon around the top of the wood and put bow on the side so it is easy to “refill”. I put packing tape on the back so the ribbon would stay in place. Cut a 3” edge off the chipboard piece, trace a paper to the size of this piece and adhere with spray adhesive. 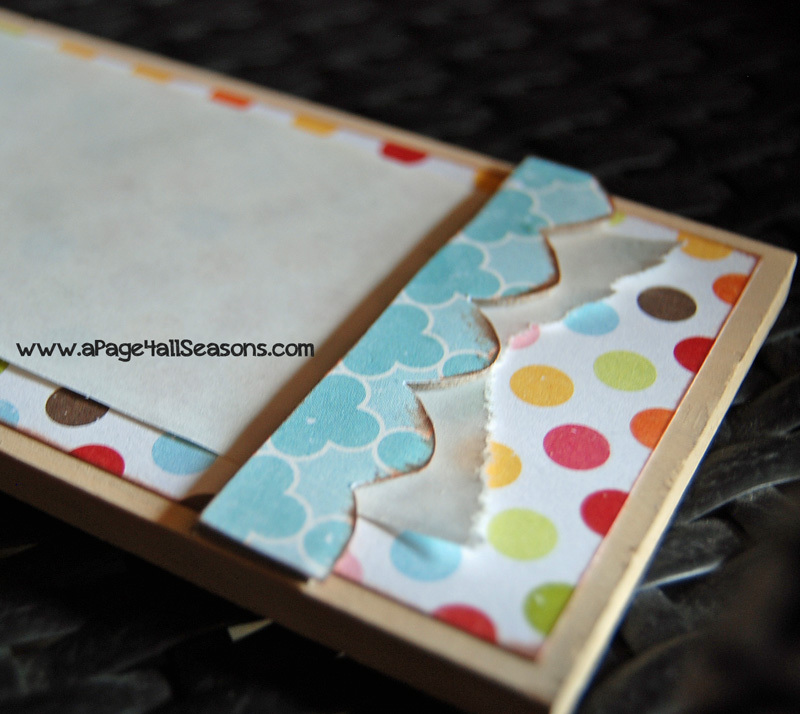 Use ribbon (thin line) glue dots to adhere to the front of your note block. Thread paper underneath so it will stay in place! Fun alternative to leaving notes in your child’s lunchbox! Awesome tutorial! I linked to it on my blog, along with a great source for receipt rolls (http://www.receiptrolls.com/) on my blog - BadCat Quilts http://badcatquilts.wordpress.com/2014/01/14/paper-piecing-on-receipt-rolls/. 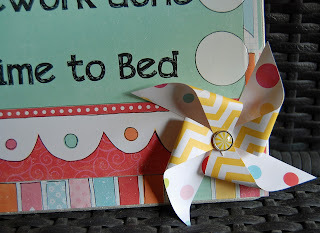 What an awesome way to use this paper resource!